Relax with LAX Towing Services! 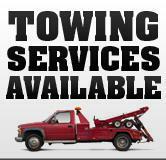 We specialize in tow truck and roadside assistance services in LAX and Los Angeles areas. Have you ever forgotten your keys in your car before boarding a flight at LAX? Have you ever run out of gas on freeways such as the 405, 105, and even on Pacific Coast Highway (PCH)? Have you ever returned to your car, just to find that the battery of your car died? Do you need towing in LAX because your car isn’t starting or was in an accident? If you answered “yes!” to any of these questions, you’re going to need to call LAX Towing today. When you need the best of the best in the business, there’s only one name you’re going to need. That’s right, the folks at LAX Towing are incredibly skilled, armed with years of experience, and they’re the best as towing truck drivers come. When you are in the parking lot, staring at your car after several days of traveling abroad, just to find out that your car is now out of power, what do you do? That’s right, LAX Towing is for all types of services and jump-start is a service that we’ll definitely provide. We can also recharge your battery for any lengthy amount of time if a jump start does not work. And last but never least, as our name states, Towing LAX can definitely tow your vehicle if all else fails. Well, if you left your keys inside of your locked car at LAX, and you’re getting ready to board a flight, we can definitely help you out with that. Our drivers will arrive punctually and retrieve your beloved keys for you. They will be there with their arsenal of tools and make sure all of this will happen within a very reasonable amount of time. You are out of gas on the road, and you don’t have any extra gallons of gas in your car. Not to worry, because we can take care of that for you. We are dedicated to providing you with the best service your car can obtain, so if your car needs a few gallons of gas, give us a call! Our towing team is trained with different types of tow trucks; from wheel lift tow truck, flatbed tow truck to heavy duty tow trucks. We are confident in our team’s ability to provide prompt service to you. Our professional technicians are able to tow any kind of vehicles. From motorcycles, scooters, Vespas, ATVs, RVs, sports cars, smart cars, luxury cars, exotic cars, minivans, vans, trucks, pickups, campers, trailers, buses (large and small), and large heavy construction equipment.